The bomber is a great piece for the transition between seasons, enabling you to bulk up with a sweater while preserving an air of crisp insouciance. 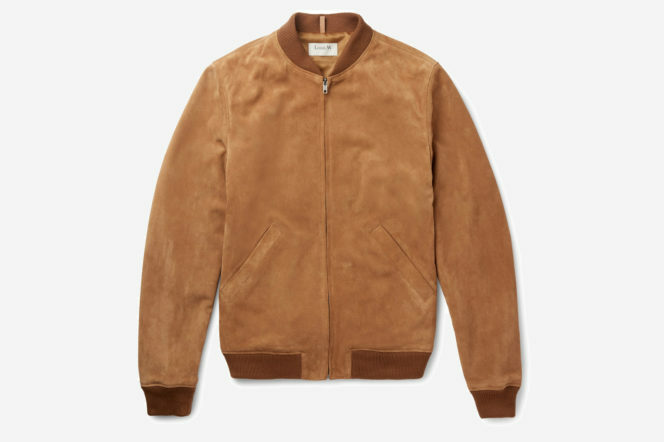 Club Monaco’s one is cut from buttery soft suede and finished with cosy ribbed trims. Tanned a rich shade of brown, this timeless piece will add welcome tonal contrast to muted shades of black, charcoal or navy. 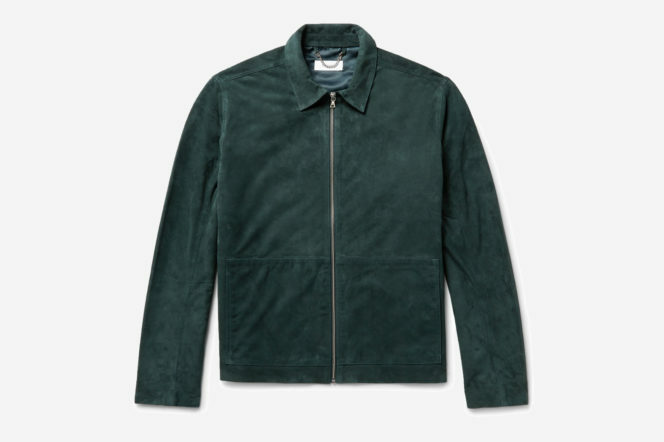 Enlist’s blouson jacket is made from emerald suede – the handsome shade makes a statement but will easily team with more muted colours that you already have in your wardrobe, like blues and browns. It’s cut slim and fully lined in satin for a comfortable fit. 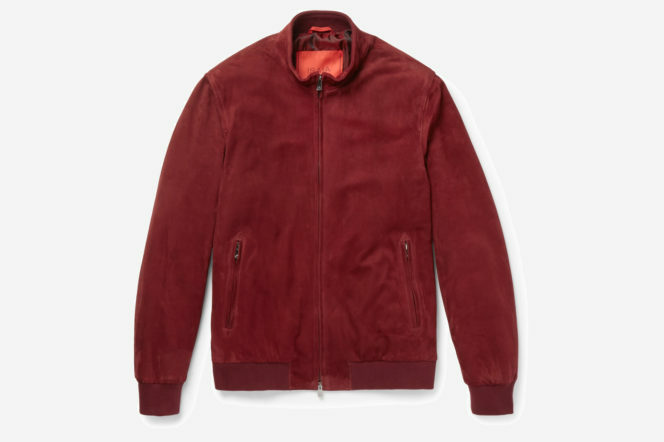 Family-run label Isaia has crafted this bomber jacket in Italy using butter-soft red suede that’s specially treated for a water-repellent finish. Showcasing the brand’s impeccable attention to detail, this piece has a smooth satin lining punctuated by zipped pockets, a discreet cable output for your headphones and a silver-tone fob handy for keeping keys in check. Notice the lining is embroidered with a coral motif – it’s a symbol of good luck in the brand’s home city of Naples. Mr Louis Wong, the man behind this A.P.C. 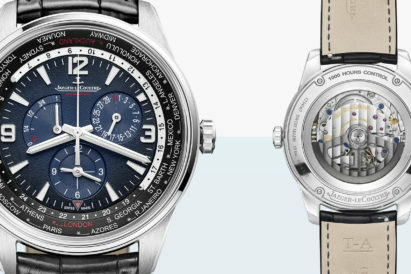 bomber, once described his jackets as “Duchamp readymades.” He was referring to the pared-back purity of his designs of course, but this style is also artfully executed. 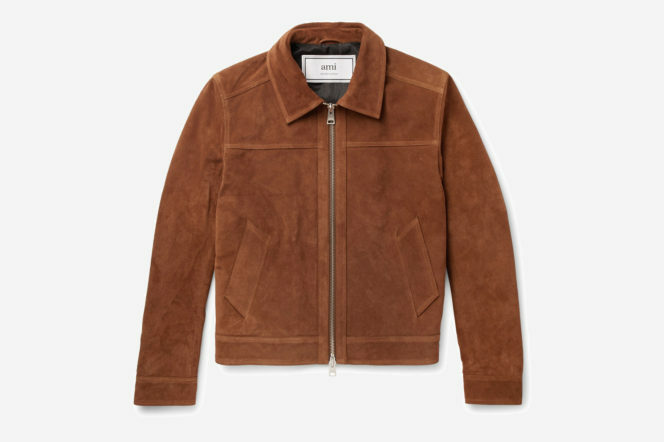 Crafted from suede, it’s tanned a handsome camel hue that’s reminiscent of ’70s classics and complete with ribbed trims. 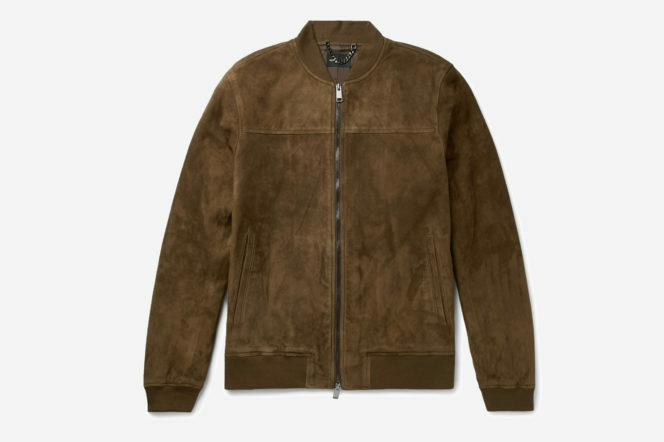 AMI’s handsome suede jacket is luxurious but also practical in its versatility, making it a sound investment. 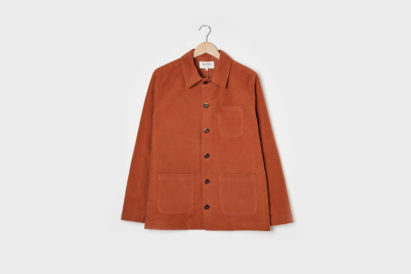 The rich camel shade is timeless and the workwear-inspired shape will work with smart, casual and sporty outfits alike. Finished with considered detail, this piece has a neat pointed collar, soft satin lining and chunky two-way silver zip through the front. More of a leather fan? 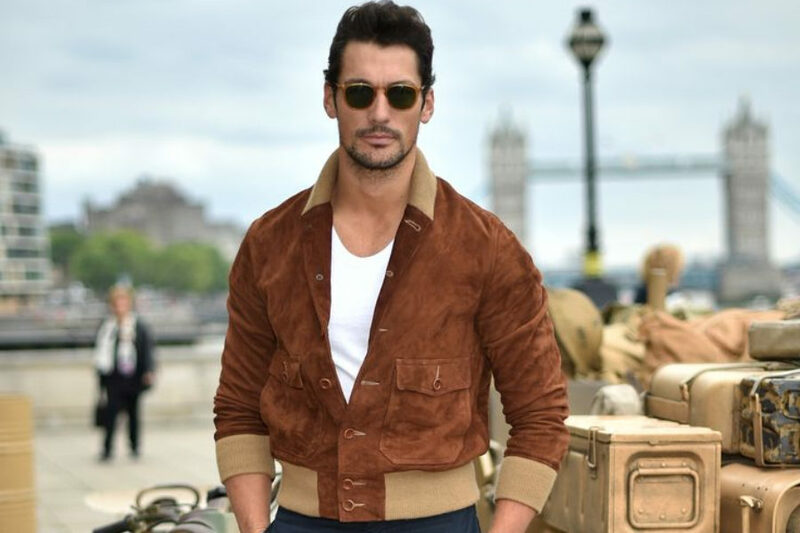 Here’s our list of leather jackets you should buy now.